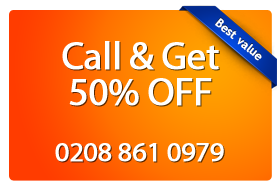 Magic Carpet Cleaning offers wide array of cleaning services in Manor House N4 at some of the most affordable rates in town. Regular cleaning of your carpet can save you money for expensive recarpeting. Our cleaners are certified and well trained. For more information and estimate price call us on 0208 861 0979. We have very good prices for our carpet cleaning services. Magic Carpet Cleaning in Manor House N4 provides regular systematic carpets, upholstery and rugs cleaning. If you are looking for more than cleaning service then simply call Magic London Carpet cleaners in Manor House N4 and check out their work. The reason behind its success is deliberately providing best services. Its rates are reasonable to use and provides full service that are included in furnishing garments. They apply hot water extraction method that is one of the powerful methodologies to clean the carpets with causing any damage to the furnishing products. With this technology and trained professionals carpet cleaning gets easy. You can contact us on 0208 861 0979. Our customer support assistants are 24 hours available for your convenience. By giving us an information about you property size, we’ll give you an price estimate. Fel free to use our on-line booking form.